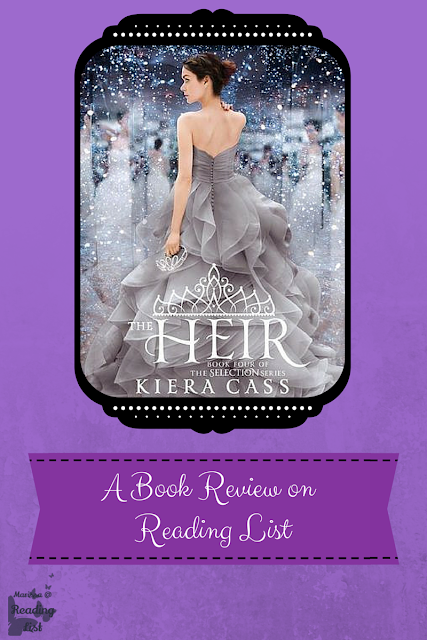 As promised last week, I'm continuing with The Selection Series today, more specifically, The Heir. I wish I could say I was in love with this one as the last three... but honestly, this book was a disappointment. 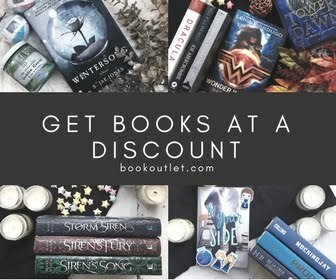 If you are interested in picking up on of the Selection books, I highly recommend you start at the beginning, or try one of the many novellas. The Heir by Kiera Cass is the fourth book in the Selection Series. This book is the first to break away from America Singer's Selection process, as we are introduced to the family King Maxon and Queen America have. This book dives into Princess Eadlyn Schreave's life, more specifically how she is the official Heir to Illea. While Princess Eadlyn was raised in a new Illea that is in the process of shedding the caste system, she grows aware that the people are not so quick to let go of past wrongs. She never figured she would have to go through her own Selection process... until her father asks her to do just that. Eadlyn is a strong female lead to say the least, but her ability to go with the flow is completely lacking. Eadlyn feels that the idea of even being married will take away from the power she should have as Queen. She has the idea that being a wife will show the country that she is weak. And that is where most of the conflict arises in this book. I so enjoyed the first three books, that I just had to read this one. I guess it could be considered loyalty to the author. My biggest like was that the setting and atmosphere from the first three were well maintained in this new book. Obviously many years had past between The One and The Heir, but Cass spends many words on catching the reader up on all the lives of the characters from the previous stories. In that way, this is exactly what a fan wants. Unfortunately, I had some major dislikes with this book. Mostly Princess Eadlyn was extremely hard to like. It was as though she was written to have her mother's crazy stubborn naive teenager attitude blended with the spoiled nature one expects from a child raised in riches. Even knowing she is a teenager who is bound to come across a little naive and spoiled, this was a little over the top. There was also an issue with the pace of this one. It felt like the first two hundred pages were all introductory. Granted much of that was on playing catch up on the original characters, but still, it started to drag. Maybe that is what happens when we get our expectations up because of the previous book, there is bound to be some disappointments from reality. The biggest reason I can think of to pick this one up, is if you have already read the first three books in the series. Since Cass has already said this will be a five book series (not including the novellas out) that means there is still one more. So this is a prelude to that final installment. When I think of it that way, this book is fine, it will just be a middle ground book that helps lead us into that final book. I have to give The Heir a three heart rating. There are some fun scenes and I enjoyed hearing more about the characters I grew attached to in the first three... but overall Eadlyn's behavior and inner-dialogues were just too frustrating to enjoy. This is a teen dystopian fiction book, that is suggested for fifteen year olds and up, and I have to agree with that as a starting age. While this particular book is not as racy as the last one, the undertones are still there. To be honest, even though I was completely disappointed in this installment, I do want to see how Cass finishes the series. So I will probably borrow the fifth book once it is released next year. 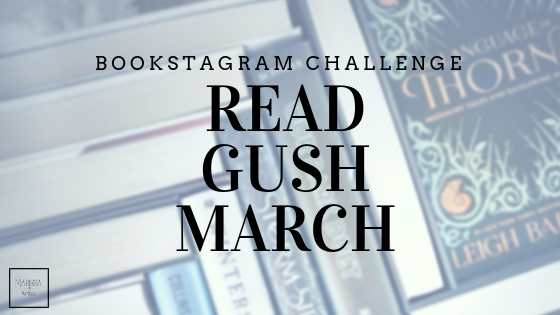 What has been you favorite book series - dig deep into your childhood if you have to?